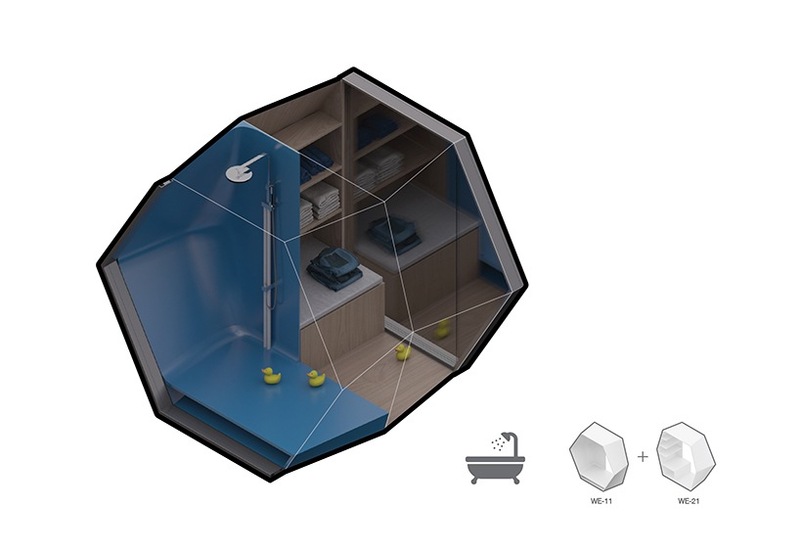 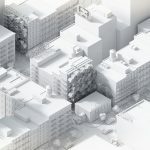 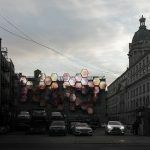 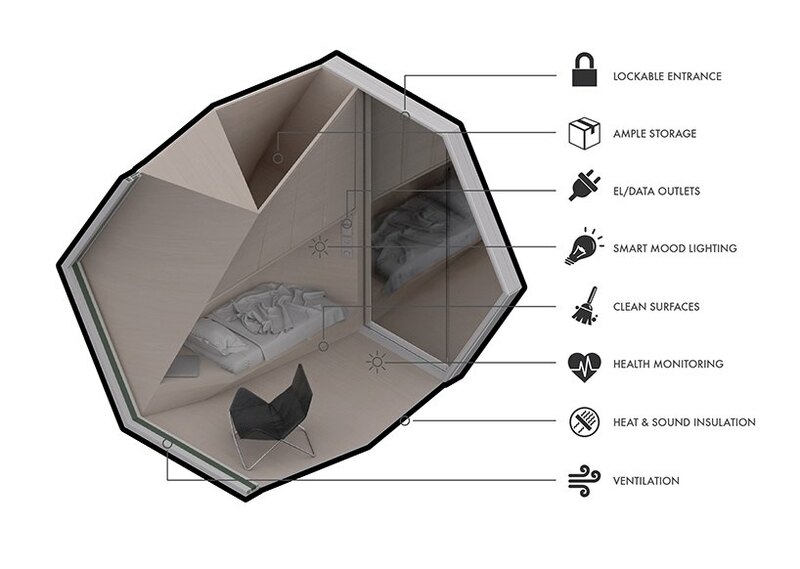 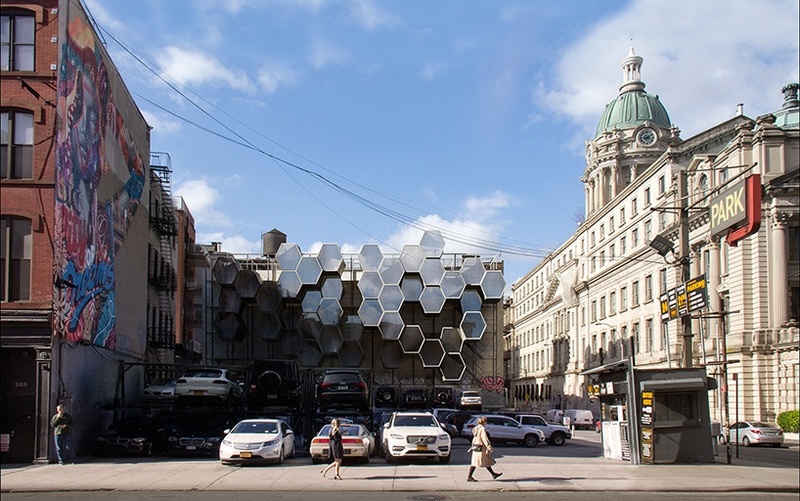 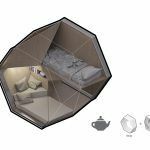 Framlab has really done their homework, providing detailed specifics on the proposal to create the densely-packed pods that would offer year-round housing that can withstand cold winter winds and provide a cool space in summer heat. 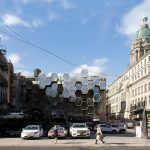 The main backbone of a Homed cluster is a scaffolding framework that integrates vertical circulation and in-situ installation capabilities. 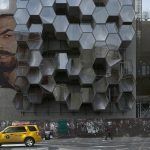 The exterior is made of oxidized aluminum cladding with a soft, human-friendly environment inside. 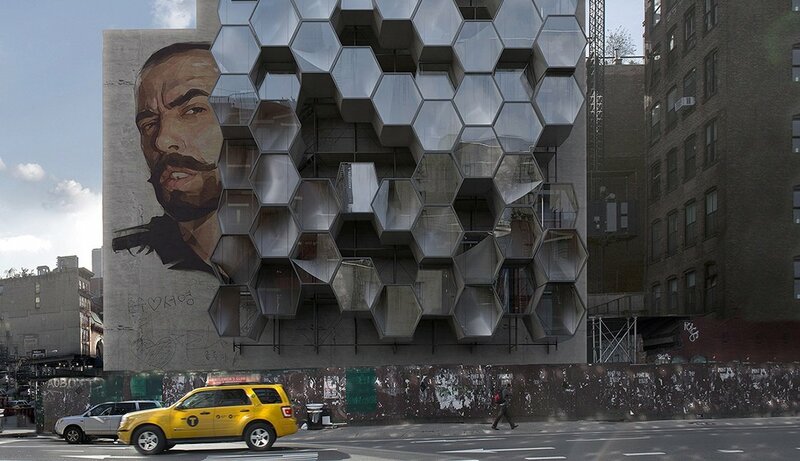 The mirrored modules reflect views of the cityscape outside. 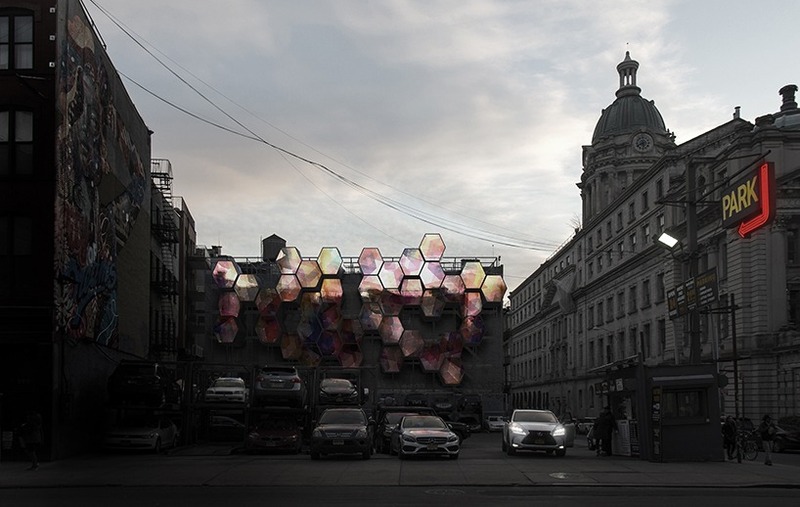 The modules have even been designed to showcase digital artwork or public information (or, sigh, giant ads) at night. 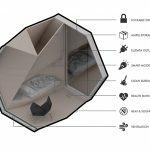 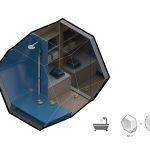 Interior modules are 3D-printed from recyclable bioplastics, making them environment-friendly and cost-effective. 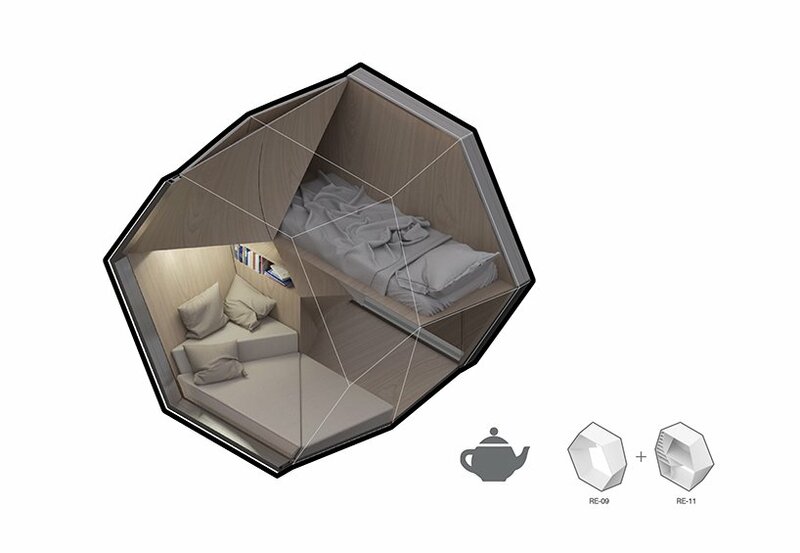 Interiors are extremely flexible and can be tailored to residents’ wishes; furniture, storage, equipment and smart technologies can all be integrated into the tiny space to create a safe and comfortable dwelling. 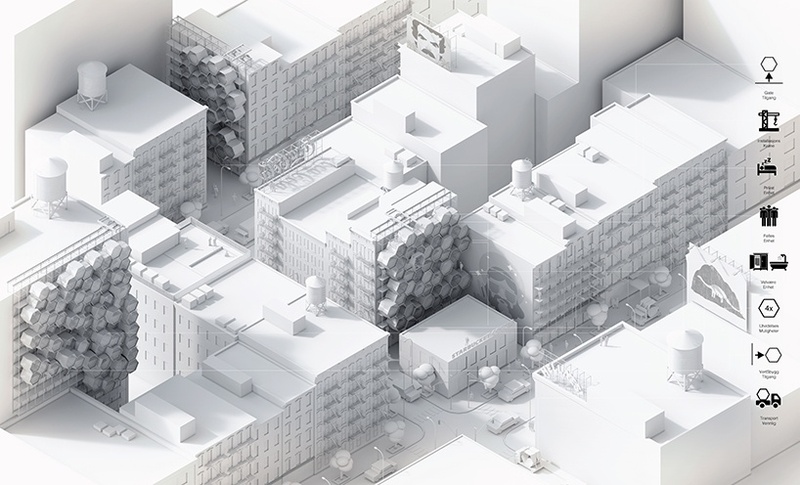 Different types of units can be created, all of which means a timely deployment of Homed communities can be created or moved to wherever the need exists–a Homed community can be created in a matter of days. 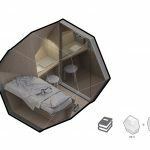 Find out more about this remarkable “shelter with dignity” idea here.